The Policy Area Coordinators for the Policy Area on Maritime Safety and Security (PA Safe) of the EU Strategy for the Baltic Sea Region have officially confirmed Flagship Project status to the ESABALT project. The coordinators include representatives of the Danish Maritime Authority and the Finnish Transport Safety Agency. The letter of confirmation from the policy area coordinators can be accessed here. 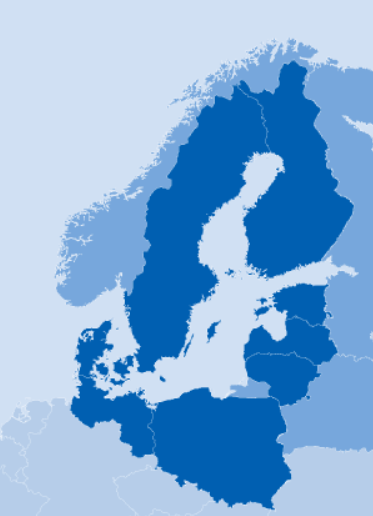 The European Union Strategy for the Baltic Sea Region (EUSBSR) is implemented, among others, by means of flagships – projects and processes. Flagships demonstrate the process and progress of the EUSBSR and may serve as pilot examples for desired change. A flagship is frequently the result of a policy discussion within a policy area or horizontal action. It fleshes out the ambition of a policy area or horizontal action in a specified field. It may, for example, develop key solutions, new methodologies, practices or a network looking for new forms of cooperation. Flagships may also concern key investments of regional importance. it is related to the implementation of one or more actions of the policy area/horizontal action concerned. ESABALT presentation from the 17 June, 2015 meeting in Riga, Latvia of the EU SBSR International Steering Committee of the Priority Area ‘Maritime Safety and Security’ – online presentation here, and PDF slides can be downloaded from here. ← ESABALT will have a busy June 2015!